Although Kellers is located in the Swan Valley, Western Australia's oldest wine region and a destination in and of itself with numerous places to eat and drink, we did not plan an extensive itinerary there as we were already planning a visit to the famous Margaret River region, arguably the state's most famous destination. On hindsight, we would probably have spent more time exploring this lovely region with its various gourmet foods and beverages. We did, however, manage a short half-day outing prior to fetching Sue's parents from the airport - they were joining us for the remainder of the trip. We enjoyed the tasting of the free chocolate samples. 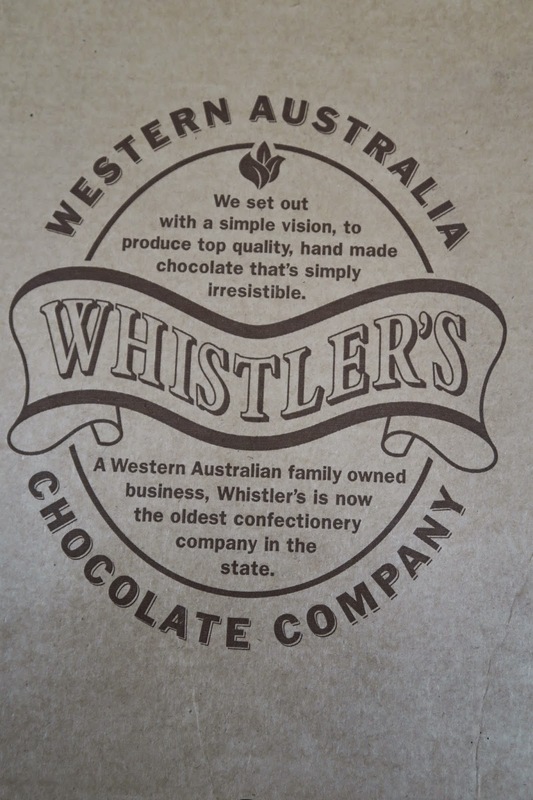 Personal verdict - the chocolate was a little more on the sweet side while we tended to prefer the dark variety; but the boys of course did not care. Thankfully we were able to restrict them to a few samples. 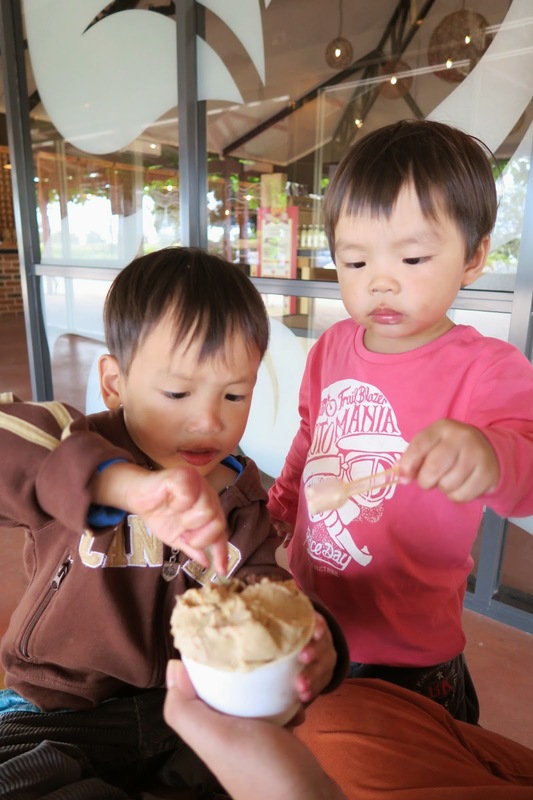 The highlight of the boys day was clearly the ice cream. A double scoop of chocolate and mocha consumed with absolute delight! so many different types of honey, especially for our 4-year-old who went greedily around with his spoon! interested in the various honey-based products. One of our regrets - not tasting the lovely honey ice cream. When we returned to the shop on our way to the airport, we realised that it was unfortunately closed. Lesson learnt - most Swan Valley shops close on Mondays. 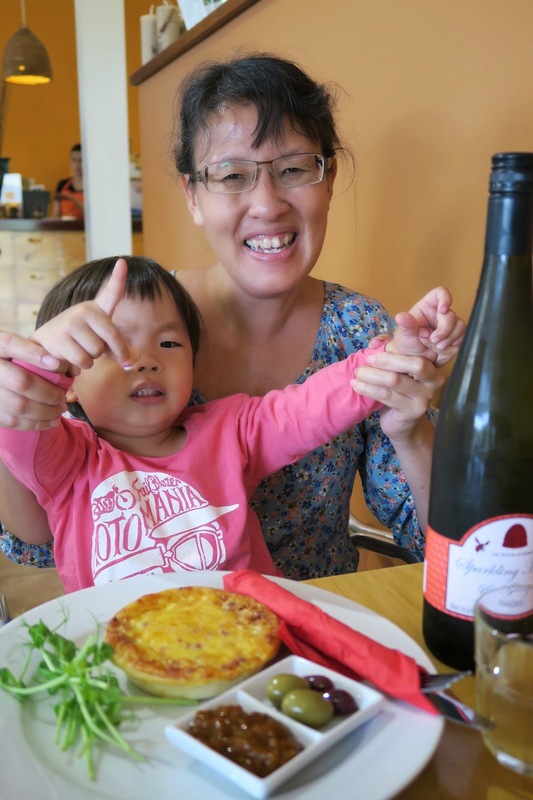 quiche lorraine and sparkling honey drink, at a very reasonable price! 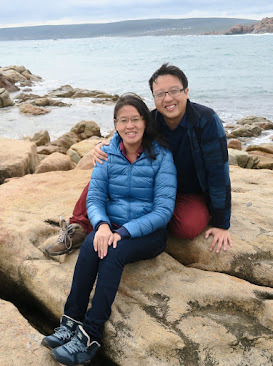 By the time we fetched Sue's parents from the airport and exchanged rental cars (we gave up our 5-seater car for an 8-seater minivan), it was time to hit the road to our destination, Harvey, located some 2-hours south of the airport. It got dark pretty soon and we stopped by at a local fish & chips shop, in a small town called Pinjarra. Looking back, that was one of the best decisions we made! This small and unpretentious shop served up one of the best fish & chips meals we had ever eaten! In our opinion it clearly beat the famous Cicerellos' hands down with its first-class food and excellent service! The batter was light and fluffy; the fish soft and juicy to the bite! with a melty cheese interior. Spectacular! Clearly we had a table of satisfied customers! By the time we got to our accommodation, Harvey Hills Farm Stay, it was very late. I remember driving up the steep mountain slopes with barely a light to lead the way. Thankfully we got there safely, and the experience added yet another dimension to our already exciting adventure! Early the next morning, we woke the boys from their slumber to join in the animal feeding time. 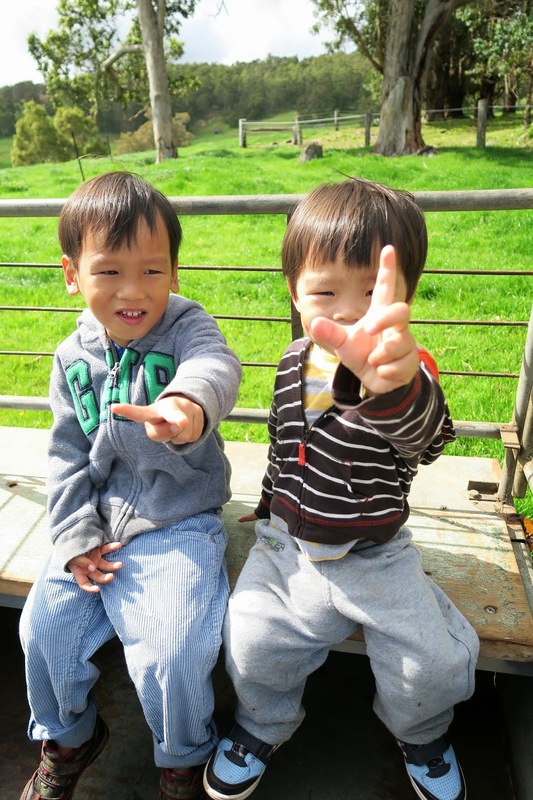 While Harvey Hills is not a fully-functional farm, it was still a lovely experience for our boys. 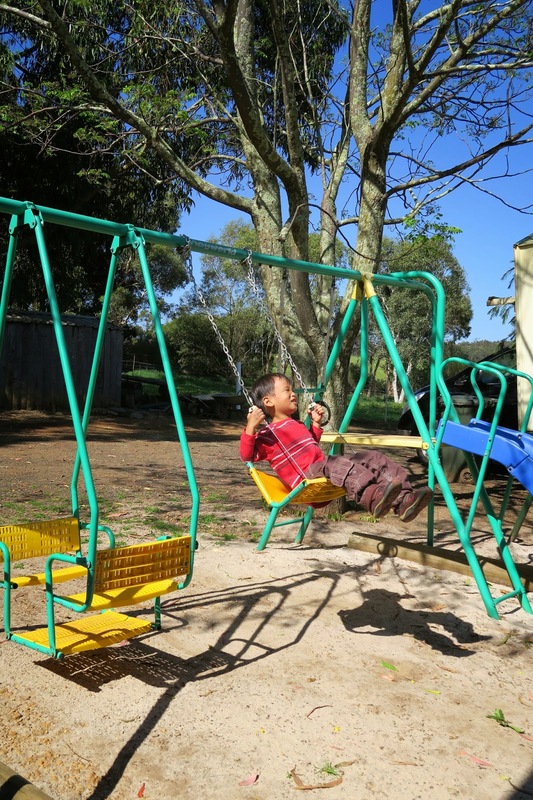 And the owner Melissa makes the effort to do this every morning of your stay at the farm - a real treat for city kids! Our 4yo Z still fondly remembers his experience of feeding the rabbits. 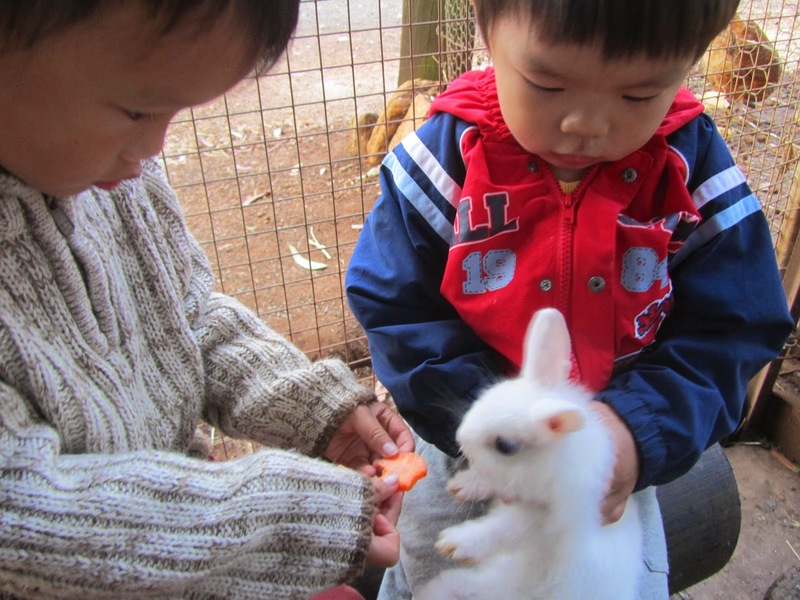 And both boys enjoyed feeding carrots to the tiny bunny. 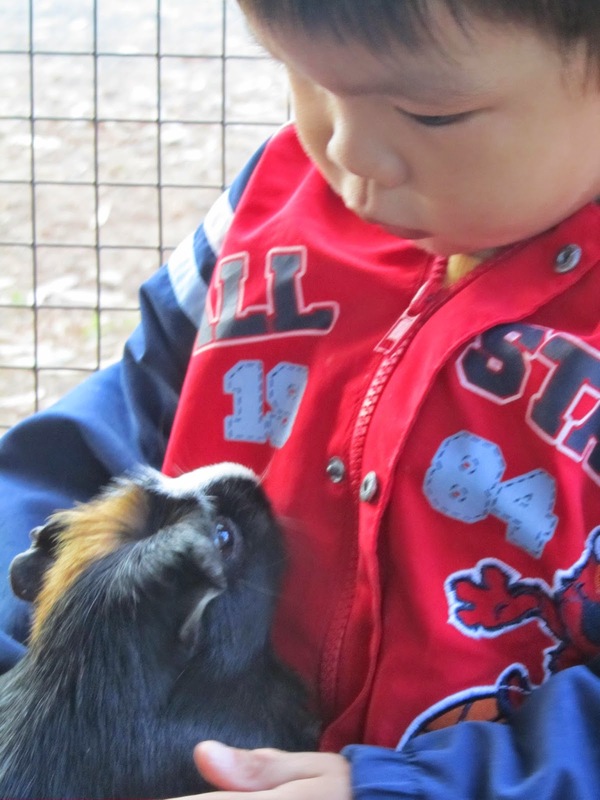 E also bond with the guinea pigs which clearly were luxuriating in his attention. 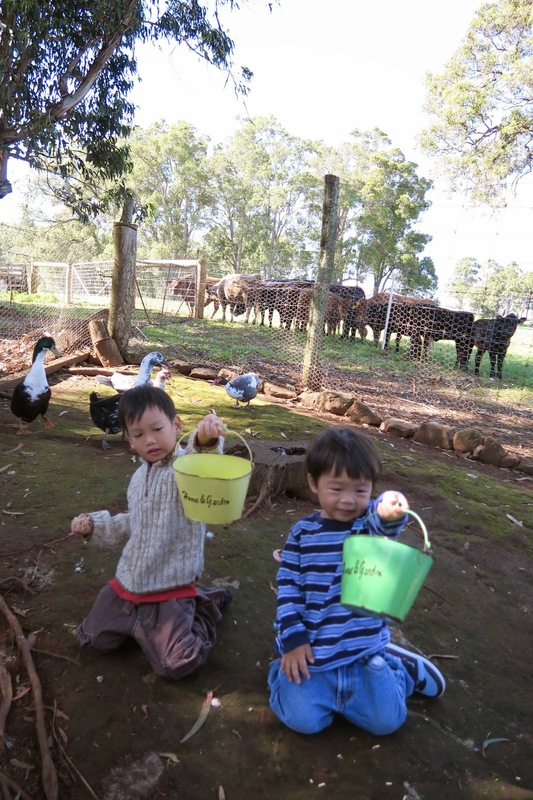 You are also given a pail of feed for the chickens and the ducks. The ducks were a lot more shy than the chickens, but we were able to hand feed them! 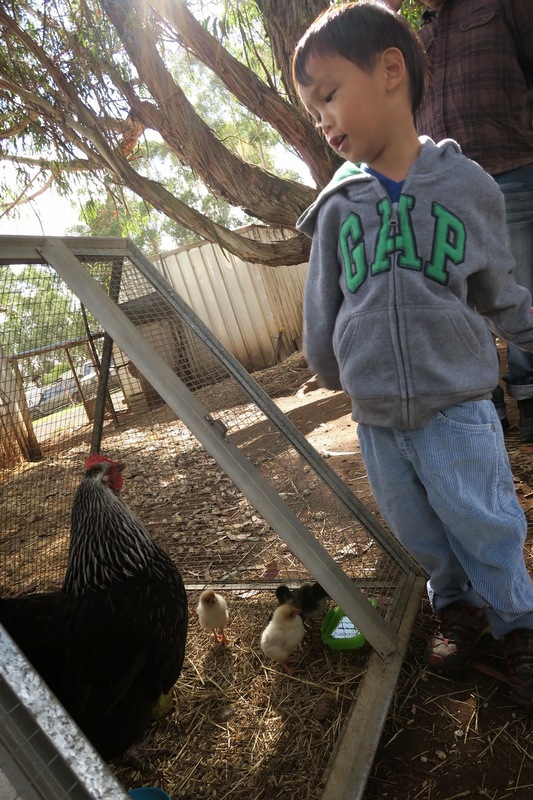 Here are our two boys getting lots of attention from the greedy chickens. "Here ducky... Come to me..."
Getting to see a newly hatched brood of chicks. 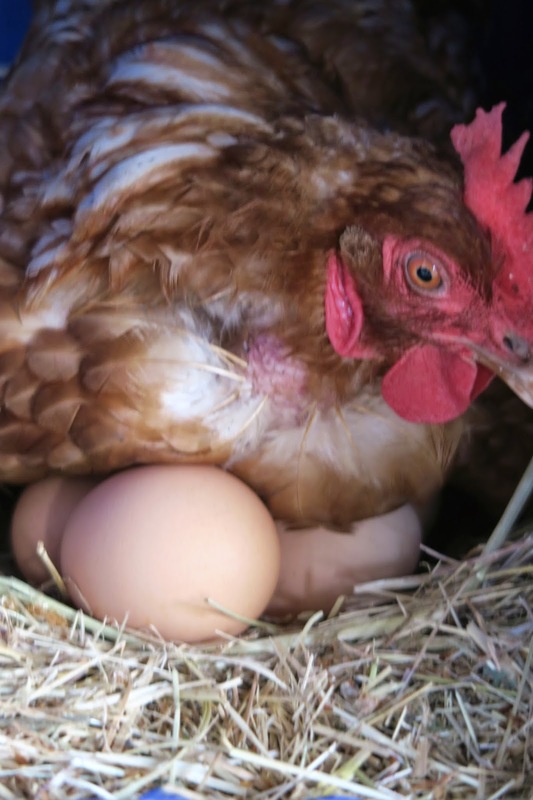 We learned that mother hens are fiercely protective of their young. Look who's gotten the chickens all eating out of his hand! We got another chance to see the hens settling down to nest on their eggs. 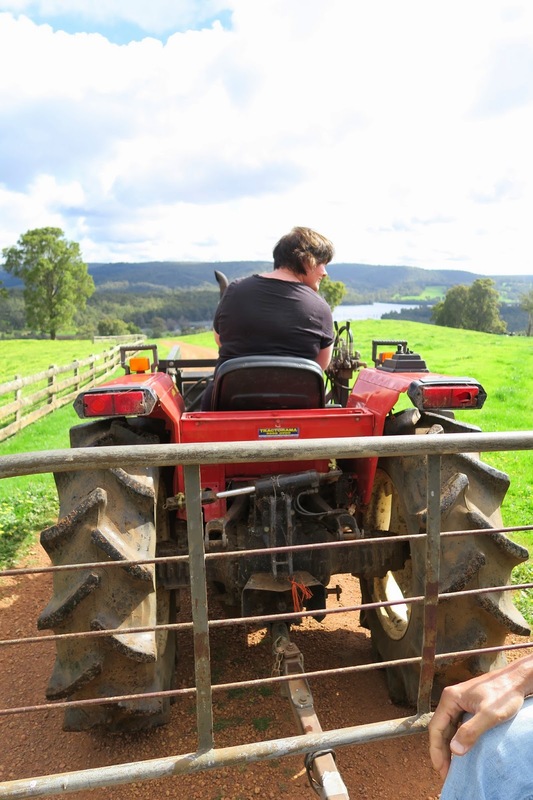 After feeding the animals, it's time for a tractor ride with Melissa. The boys clearly enjoyed the ride! Enjoying a tour of the area. While the Harvey Hills accommodation is basic, its location is spectacular. The property is located at the top of a hill, and it has a view overlooking the Harvey Dam. 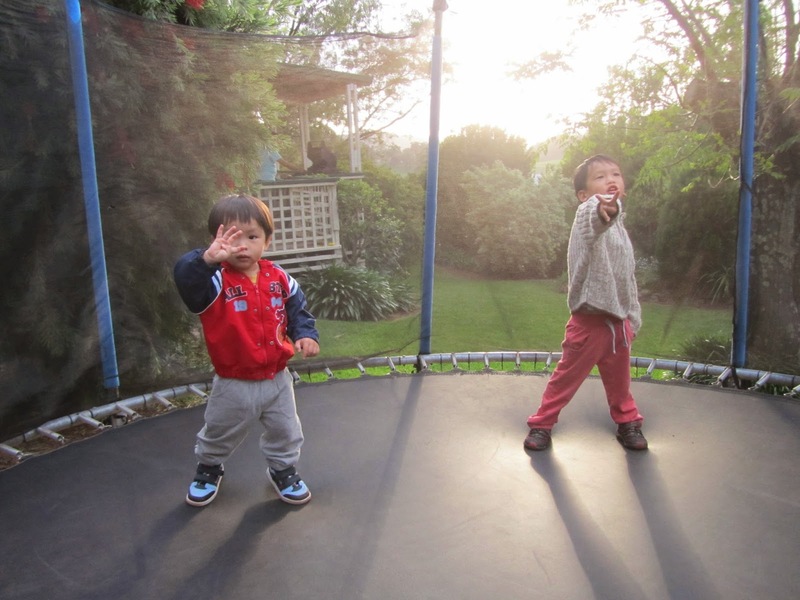 And after all that fun, why not some time on the swing and the trampoline? 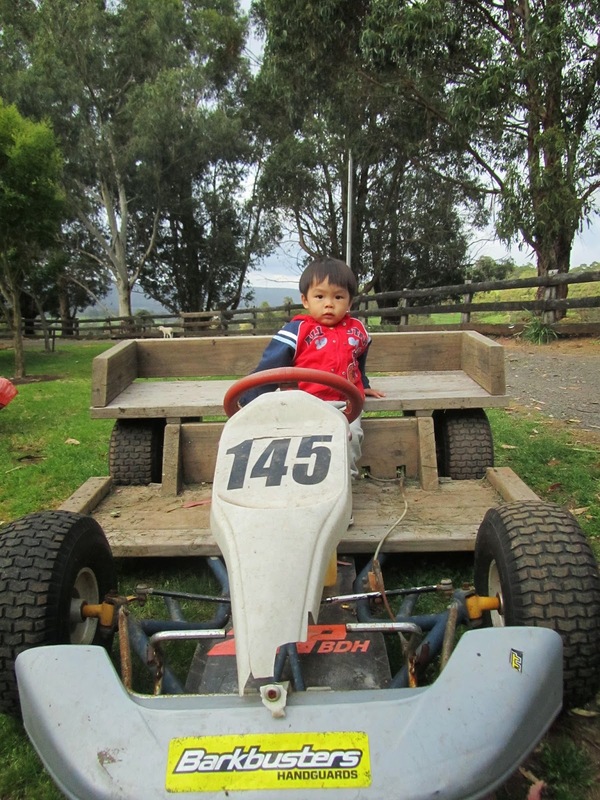 Future F1 driver? Our little one's dream job! We did enjoy our time in Harvey. Given that the location was a rest stop before we headed further south, it more than fulfilled its purpose! 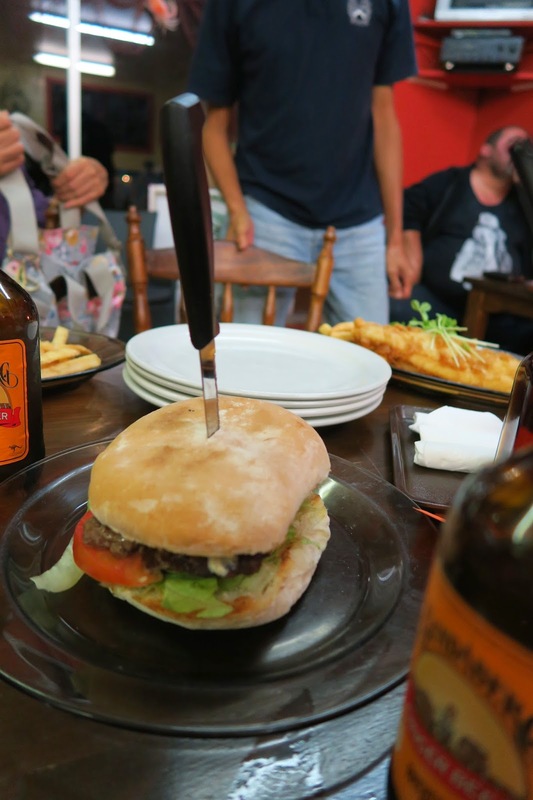 Next: An Aussie-style BBQ with the best meats in Western Australia! Previously: The amazing Scitech discovery centre!